WORKS and Supply Permanent Secretary Watson Ng’ambi has said his ministry received instructions from State House to single-source the procurement of four armoured luxury 4×4 Luxes motor vehicles, according to the PF government controlled Times of Zambia. President Sata recently questioned the logic by his predecessor to buy two luxury vehicles worth K3.6 billion amidst other pressing needs in the country, and also ordered the police to look for two other Lexus vehicles that had been procured. Mr Ng’ambi said the ministry received instructions to seek permission from the Zambia Public Procurement Authority to allow it to buy and make the vehicles bullet-proof in line with the specifications that came in writing from State House. 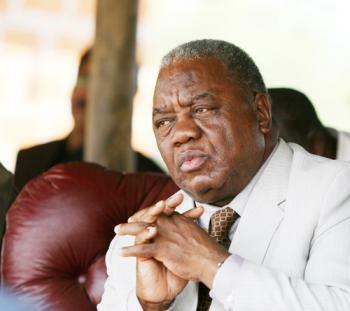 On Sunday, through his administrative assistant Mikatazo Wakumelo, former President Rupiah Banda said he was not a procurement officer to be involved in the procurement of vehicles and that people who bought them were still serving in the Government. That was in reaction to revelations by President Michael Sata that Mr Banda’s administration bought four luxury Lexus vehicles and wondered what value they were adding to the people of Zambia. Mr Ng’ambi said State House generated the quotation from one company in Germany and delivered it to the ministry to facilitate the purchase of the vehicles. “You know that we cannot buy anything that State House does not want. We received instructions and a quotation from one company in Germany to buy the four vehicles,” Mr Ng’ambi said. He said having made all the arrangements, officials from State House, the Government controller of transport at the Ministry of Works, John Kasanga and other security personnel travelled to Germany to supervise the stripping and armour-plating of the vehicles. Mr Ng’ambi said no-one had authority to question what State House had arranged because specifications on where the vehicles should be bought and their details were received from there. He said a Government team went to Germany in August this year to supervise and facilitate transportation of the vehicles to Lusaka. President Sata recently questioned the logic by his predecessor to buy two luxury vehicles worth K3.6 billion amidst other pressing needs in the country. Speaking when he swore in Zambia National Service Commandant Nathan Mulenga and his deputy Alick Kamiji on Tuesday last week, Mr Sata expressed disappointment at the expenditure on the luxury vehicles. However, Mr Banda last weekend welcomed the investigations into the matter, saying he was not a procurement officer. He said he was available at any given time to answer to any clarification which the current Head of State may have before they are made public.